Film Fatale, creator of some of Europe’s largest vintage parties, returns with its most extravagant event yet: Masquerade at the RDS. Reimagine the great masked balls of film and literature for one night only as the RDS concert hall is transformed into the epitome of vintage glamour and decadence — the masquerade ball. Pop that bottle of bubbles, don your mask and join us in bringing the greatest themed party in history to life. Inside the grand hall, the Masquerade ball is in full swing. Bottles of bubbles are popping, dresses shimmer and sparkle, top hats are tipped, cancan dancers are bouncing, fan dancers dazzling and the spectacular Film Fatale Follies are lighting up the stage. Revel in the spectacle. Watch our porcelain-faced ballerinas, flying-swan princesses, troubadours and a unicorn princess, or spin around the dance floor to the strings of the La Fete Quartet at Duchess Spitfire’s dance class. A fusion of old and new and an up-beat mix of your favourite vintage dance-floor fillers, and modern-era songs with a bygone-era twist, awaits you as we celebrate the most decadent eras in history — from Marie Antoinette to the 80s New Romantics. Hit the dance floor for dance-your-frock-off tunes from the Film Fatale orchestra — combining swing and strings — to play your favourite dance floor hits from Ellington to the Eurythmics. Dance like no one’s watching to Ireland’s most intentionally acclaimed brass band, Booka Brass. Then immerse yourself in the music as retro DJs the Andrews Sisters’ Brothers take to the stage with their troupe of dancers. This extravaganza has a dress code, so strictly face-masks and your fanciest or wildest attire. Masquerade is for the vintage queens, the retro kings, the counts and courtesans, the flappers, the disco divas, the bold and beautiful, the fantasists and the other-worldly. Join us and party with wanton abandonment because for one night only, you can be whoever you want. Masks and your fanciest attire. Fantasy dress and carnival-themed attire welcomed. Over 30 classic movies, 10,000 vintage songs, 100 conga lines, 20,000 cocktails, 8,000 pearl necklaces, 3,000 bow-ties and thousands of glamorous guys and gals in their vintage finest. Since its inception, Film Fatale has been bringing to life the great parties of the past and now we are celebrating our sixth birthday. To celebrate, Film Fatale will host a birthday extravaganza in one of Dublin city’s most unique locations — Number 22, a new late-night super club located on the site of McGonagles and the Crystal Ballroom. This will be a red-carpet screening of the world’s most beloved war-time drama, Casablanca that will transport the audience back in time to the iconic Rick’s Cafe Americain. Join in with the battle of the national anthems and get swept up by the greatest romance of all time. Casablanca is an ageless film that gets better with every viewing and there is no better way to watch it than in our own version of Rick’s Bar. Watch the movie with a three-course à la carte meal (optional) and table service. Then swing-dance to live music from the Tin Pan Alley Cats and jitterbug to DJs The Andrews Sisters’ Brothers favourite dance floor fillers of the era. 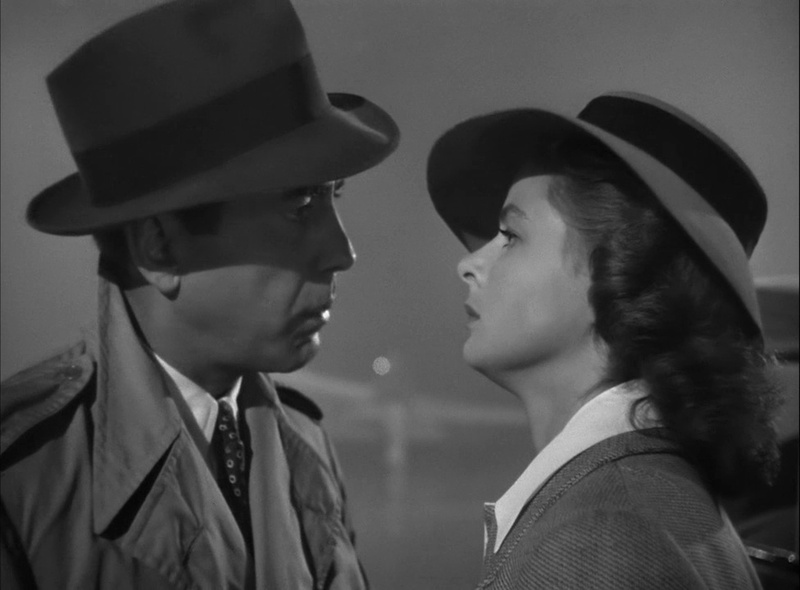 We all know the story of Casablanca. Boy meets girl, girl leaves boy and several years later she walks into his gin joint in WWII Morocco Iooking for safe transport for herself and her resistance leader husband. With the Nazis hot on their trail, her only hope is her old love. Humphrey Bogart stars as Rick Blaine an American expatriate and war profiteer who runs Rick’s Cafe. Ingrid Bergman stars as Ilsa, a woman torn between an old love and her heroic husband Victor Laszlo (Paul Henreid). All give outstanding performances and do justice to some of the finest dialogue in movie history. Help set the scene by dressing up in your finest vintage or vintage style attire, pay homage to 1940s wartime heroes and sweethearts or mirror the stars of the film. Embrace vintage, fashion, music and good old fashioned fun, drink classic cocktails and join in the conga line in our own “Rick’s Cafe Americain”. Journey back to 1930s Berlin for cabaret in the truest sense of the word – tongue-in-cheek, provocative, hilarious and pure entertainment. Brought to you by Film Fatale, Ich Liebe Dich Cabaret! is everything we love about cabaret with an added postmodern twist. Travel back in time to the heyday of the Spiegeltent and the Berlin cabaret scene for an evening of classic cabaret, aerial dancing, traditional and avant garde burlesque and dance ensembles set to a soundtrack of hot jazz, cabaret solos and modern-era songs with a bygone-era twist. Ich Liebe Dich Cabaret! will be a decadent celebration of 1930s Berlin — the hedonistic era of dark glamour. Already one of Europe’s biggest vintage parties, Film Fatale’s Prohibition returns with its annual 1920s summer party, Gatsby’s Mansion, at the glorious gardens and great hall of the Royal Hospital Kilmainham. Reimagine the world of F Scott Fitzgerald for one night only as IMMA is transformed into the epitome of 1920s glamour and decadance — Jay Gatsby’s summer mansion. So pop that bottle of bubbles and fix your braces old sport and join us in bringing the greatest party in all of literature to life. Arrive in style to the outdoor-indoor ritzy Roaring Twenties Summer party. Gatsby’s chauffeur will meet you at the gate and bring you to the manicured lawns for G&Ts, bowls, croquet, live music and a bit of Charleston in the sunshine before heading indoors for the cat’s meow of parties. Inside Gatsby’s majestic mansion, the 1920s is in full swing. The giggle juice is flowing, bottles of bubbles are popping, dresses shimmer and sparkle, top hats are tipped, fan dancers dazzle and the Film Fatale Follies — the epitome of 1920s glamour — are lighting up the stage. Join Gatsby on the floor for dance-your-spats off and shake-your-tassels electro-swing and vintage DJs, live ragtime, old-meets-new twenties fusion and original music from Stomptown Brass. While down in the cellar, you’ll find gangsters betting their last dime at the gambling tables. Inside Dublin’s majestic IMMA, the 1920s is in full swing. Dresses shimmer and sparkle, top hats are tipped, tassles shake and the dance floor is in a Charleston frenzy.Cole Porter is singing, “let’s be outrageous, let’s misbehave”. The air is wild with jazz fever, the morals are loose,the bath-tub gin goes down nice and easy and flapper and fellas are having the kind of night people tell stories about. Welcome to Prohibition: Tales of The Jazz Age, the cat’s meow of Dublin parties. This 12 March experience one of the biggest 1920s parties in Europe. Our hopping joint is full of fast-talking fellas and fantastic flappers experiencing Prohibition from around the world. We’ll have Berlin-style cabaret, Parisian-style showgirls and The Film Fatale Follies, the sweetest dancing dames since the days of Gatsby and 1920s glamour. Set your feet afire in the grand hall to live ragtime music and old-meets-new twenties fusion. Dance-your-spats off and shake your tassles to our electro-swing and vintage DJs. Quench your thirst at our juice joints, serving up Prohibition-era punch cocktails. While down in the cellar, you’ll find gangsters betting their last dime at our gambling tables. So fix your feather headpiece. And pop those braces. This is strictly a 1920s/1930s event — the moll at the door won’t let you in if you ain’t dressed in vintage style. So what’s your story going to be? Will you be a flapper, a philospher? a silent movie star? a gangster? will you drink too much bubbles and dance on the tables? win big on the gambling tables? fall in love with a Parisian Show Girl and be married by the morning? You’ll have some stories to tell after a night at Prohibition, the cat’s meow of Dublin parties.